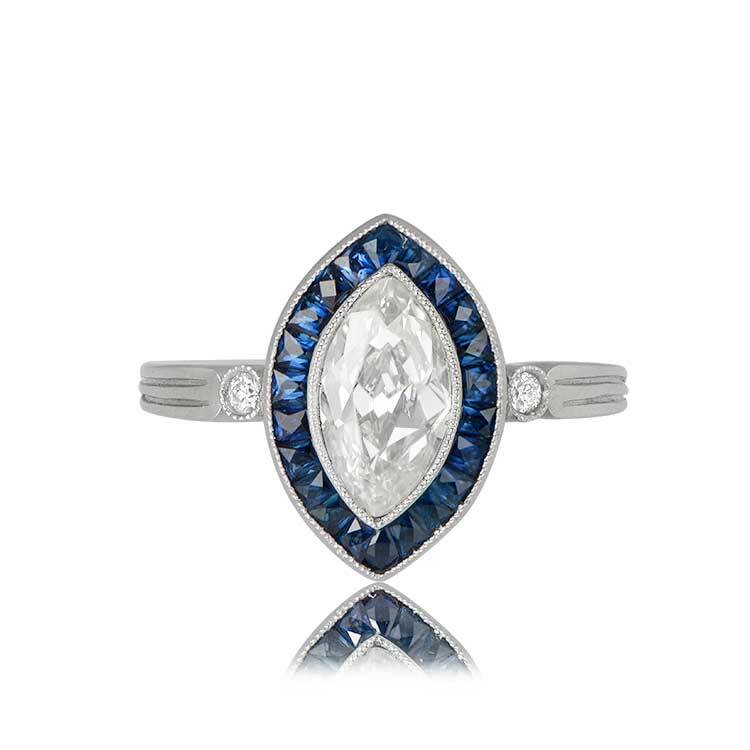 A sapphire halo engagement ring that centers a rare GIA-certified 1.01 carat antique Marquise cut diamond, H color, and VS2 clarity. 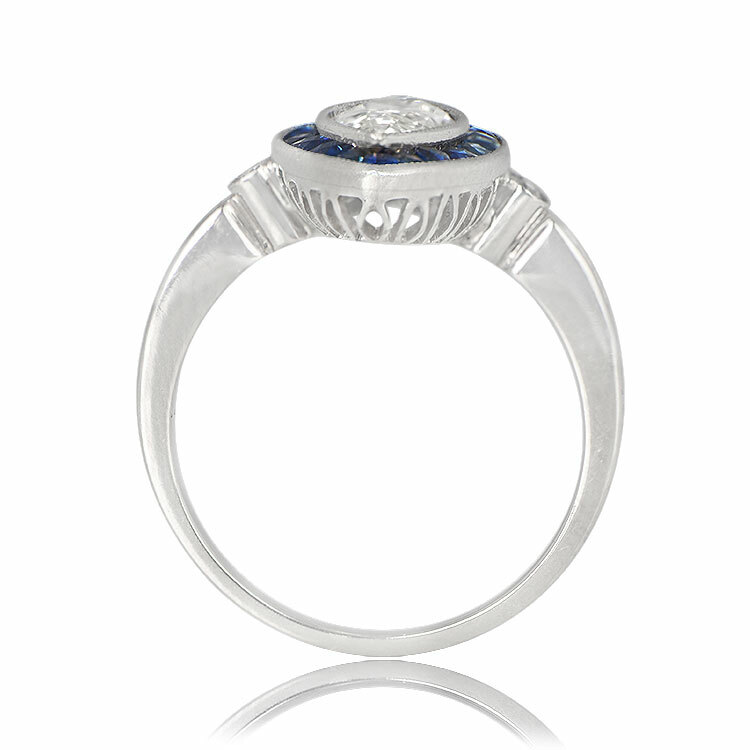 Following the shape of the center diamond is a row of natural calibre French-cut sapphires. 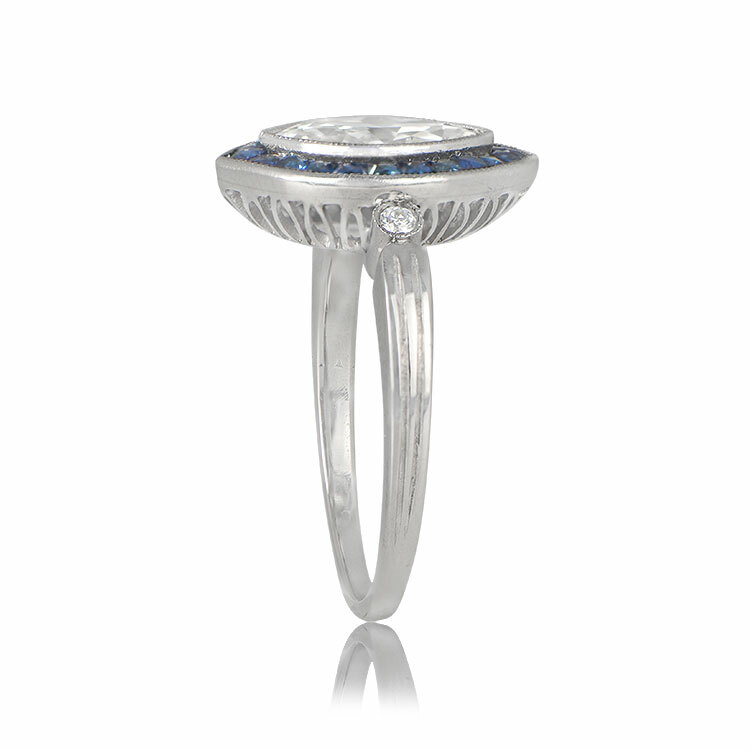 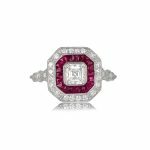 This platinum ring features marquise shaped under-gallery. 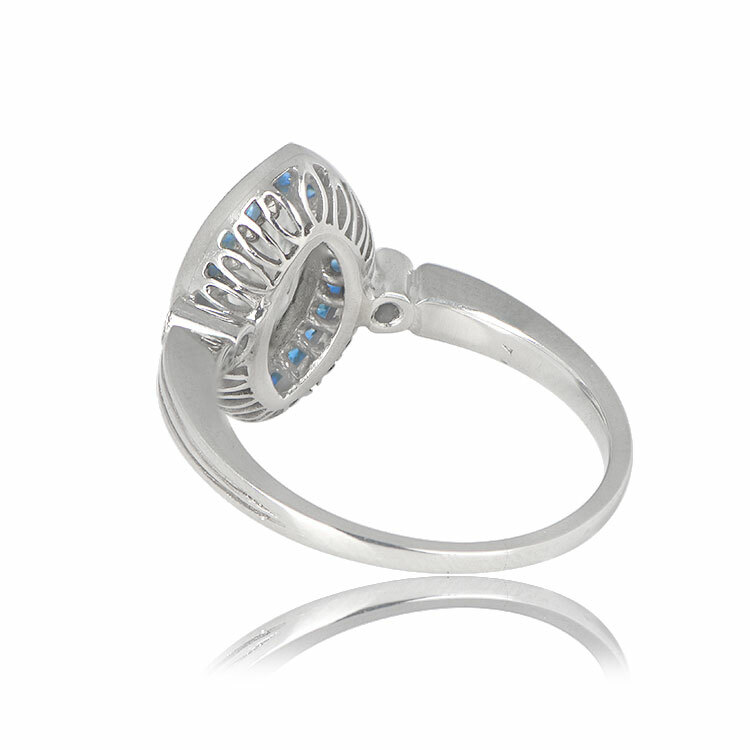 The total approximate sapphire weight is 0.50 carats. 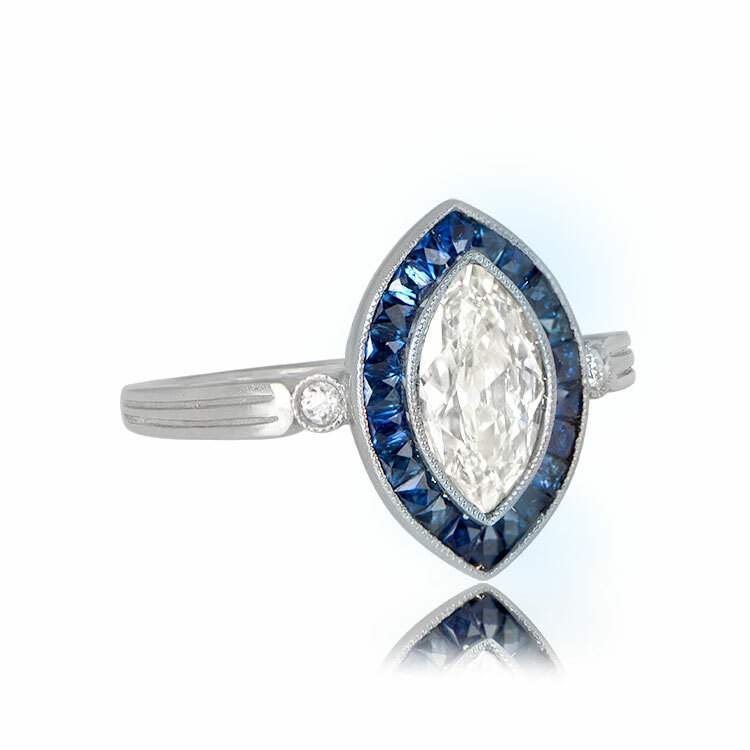 Please note that antique marquise cut diamonds this quality are rare to find. 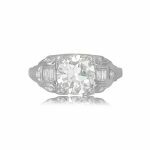 SKU: 12085 Category: Vintage Engagement Rings Tag: Elongated Engagement Rings - Contact us and request additional pictures.